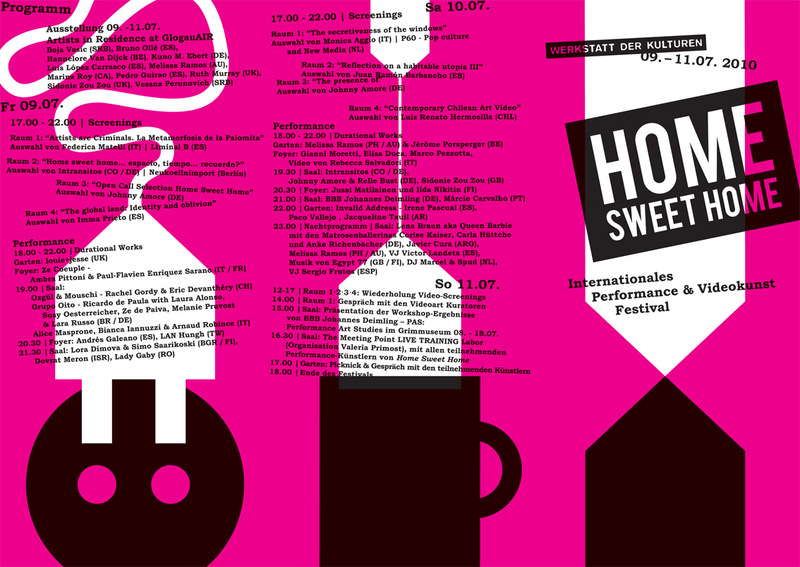 I would like to invite you to the forthcoming Performance and Videoart Festival „Home Sweet Home“. 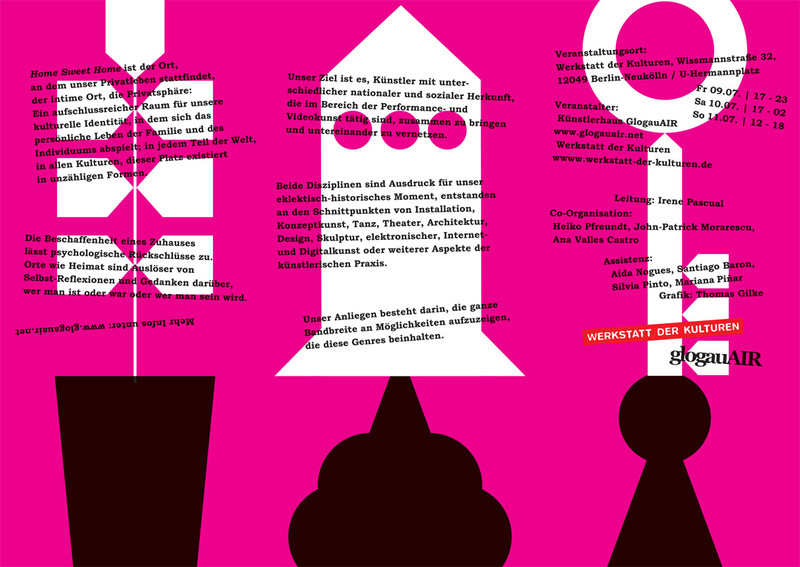 It will take place in Werkstatt der Kulturen in Berlin on the 9th -11th of July. For the whole Programme and more info click here. Wish you as much summer as you can get!